Pin Fin oil coolers use a high thermal efficiency heat transfer tube. 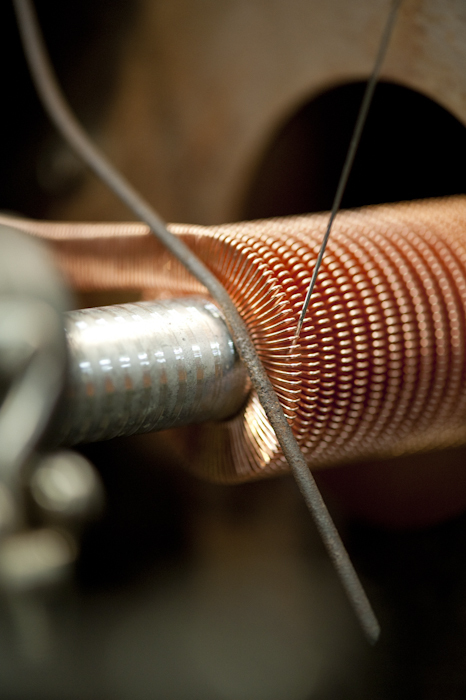 Using helically wound copper wire, the external fin is mechanically bonded to the base tube via solder. 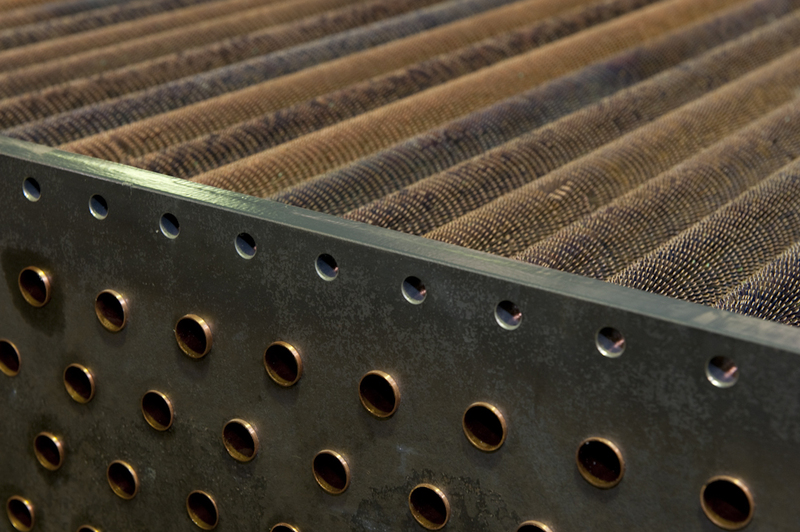 Pin Fin coolers are suited to a wide variety of air-blast cooling applications including process liquids and gasses, oil, diesel fuel, high pressure water and steam. 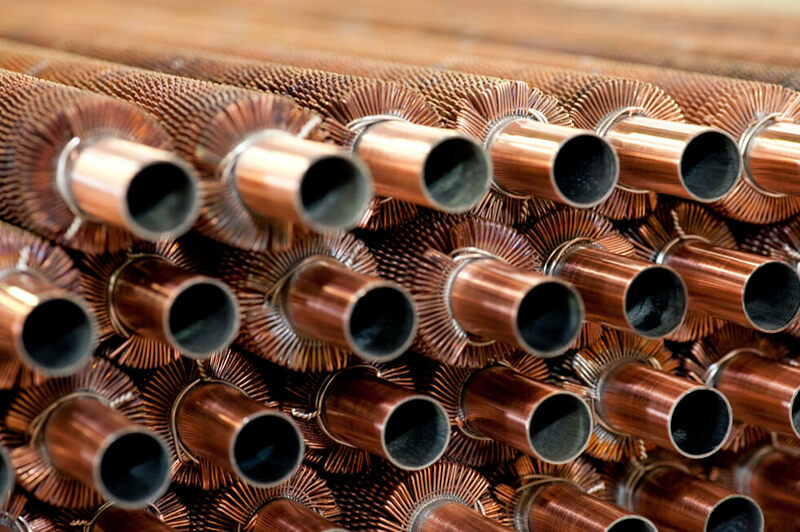 Pin Fin coolers can be manufactured using a variety of base tube materials including copper, brass, copper/nickel, aluminium/brass, carbon steel and stainless steel. 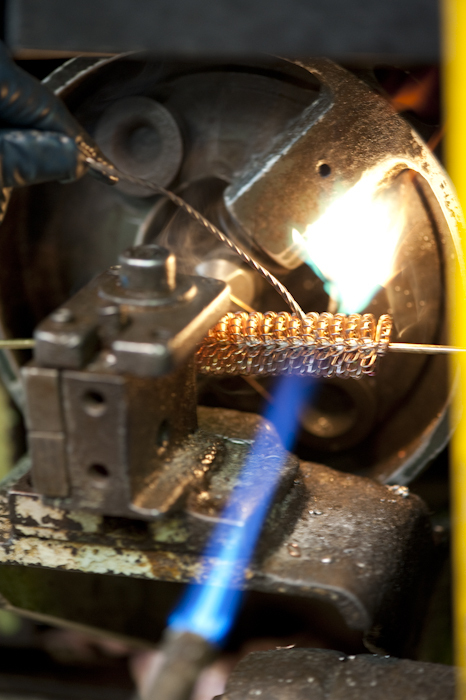 Wire wound internal turbulators are added to enhance thermal performance for viscous fluids such as oil, and for certain gasses, including compressed air and steam. As the density of the external fin and internal turbulator are variable, Pin Fin can be readily optimized to suit individual applications.